Snow is heaven’s correcting fluid. It erases the old summer and turns the landscape into a white virgin sheet, ready to be painted again by a new year with new colours and new life. Travelling across a white, snow-covered landscape will give you new experiences even in a well-known area. 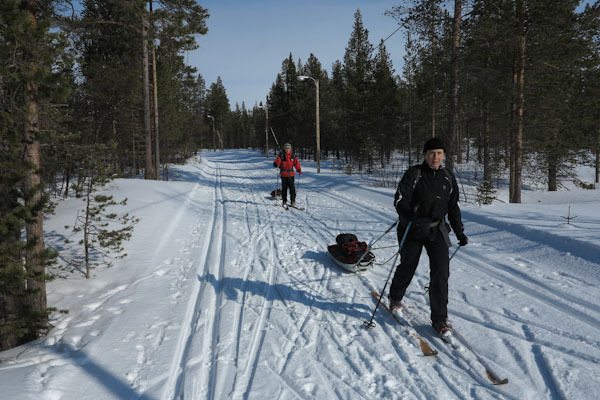 Cross-country skiing is a clean, easy and wonderful way to travel through the Arctic outdoors. The snow and ice gives you the opportunity to travel across obstacles like lakes, marshes and scree as if they were not even there. Cross-country (or back-country skiing) is easy to learn. However, your learning curve will be much steeper with some instruction rather than struggling on your own. 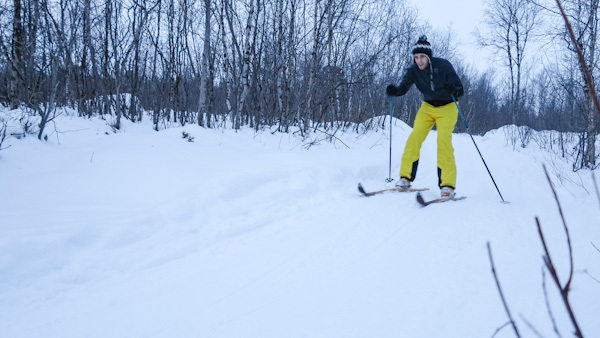 If you have a wish to explore the amazing world of the winter but have little or no skiing experience, this four-hour skiing course will give you enough technical skills to be able to do back-country skiing both on and off prepared trails. There is no set itinerary for this course. However, we will touch on the issues you need to get started like, for example, waxing and skiing technique (uphill, downhill and flat). Emphasis will be on skiing technique and balance and the whole course will be adapted to the your individual needs. Please note: This course will only teach you skiing skills and will not include techniques for living outdoors on multiple day skiing trips. Every day on request from 5th January to 20th April.